Easter Sunday, Thirsty Merc are on at the Sports Club! Easter Sunday brings more treats than chocolate eggs and bunnies, with Thirsty Merc performing at Rainbow Beach Sports Club with special guests Caitlyn Shadbolt and Linc Phelps! Unquestionably one of Australia’s finest live acts is Thirsty Merc. Having released four critically acclaimed albums, over 250,000 album sales under their belt, a finalist in the APRA Song of the Year for 20 Good Reasons (which also reached #1 on iTunes in Australia), and 5 ARIA Award nominations, Thirsty Merc have found their way into the fabric of Australia’s musical landscape. Thirsty Merc formed in Sydney in 2002 releasing their debut EP, First Work, in September 2003, before being signed to Warner Music. The band’s big break came in 2004 with the release of their debut, self-titled album which included the hits, Someday Someday and In The Summertime (the theme for Bondi Rescue since 2006). Two more studio albums followed – Slideshows in 2007 (#4 ARIA Album) and Mousetrap Heart in 2010 (#14 on the ARIA Album chart) which included radio staples, 20 Good Reasons, Mousetrap Heart and Tommy and Krista. Thirsty Merc marked the 10-year milestone since the release of their self- titled, double platinum debut LP with the announcement of their Acoustic Anniversary Album and national tour. Dubbed ‘AAA’ the album is a collection of acoustic interpretations of fan favourites. These recordings showcase the band’s exemplary level of musicianship and hearing these well- known songs with acoustic production highlights the world-class songwriting ability of Rai Thistlethwayte. 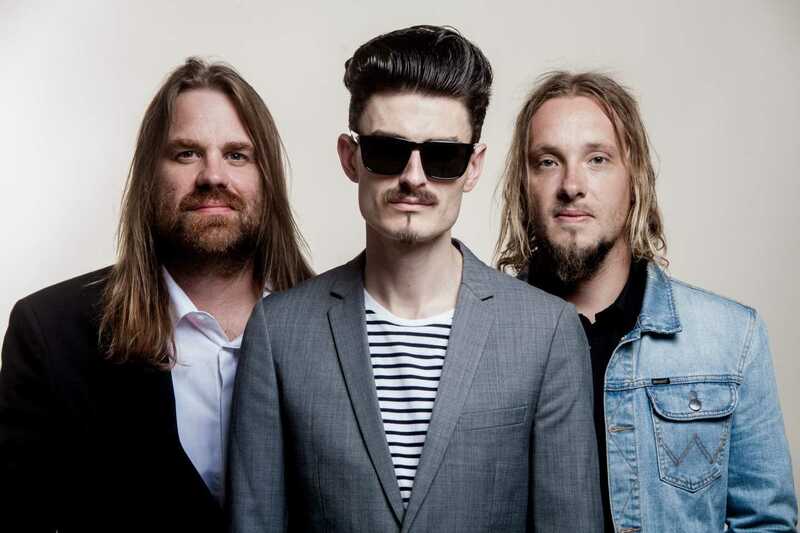 In 2015, Thirsty Merc released Shifting Gears, their first wholly independent and first new material in five years, and spent the next 18 months crossing the country on three extensive tours, running up thousands of Frequent Flyer points and sold out shows. The first single The Good Life was nominated for Rock Work Of The Year at the 2017 APRA awards. See Thirsty Merc on Sunday April 21 at 7pm, at Rainbow Beach Sports Club. Limeburner is a three-piece band from Gympie, Queensland, playing classic hits, rock and country rock. Robyn, aka “The Boss Lady”, is on lead vocals and rhythm guitar and has a voice with a magical mellow quality that soothes the listener, but still can excite with covers from the best of the 60’s through to current hits. Chris aka “Minty” is lead guitarist and vocals. A great country rock guitarist, Chris lets loose in the heavier rock songs and his instrumentals are scattered through the night adding an extra feature. He takes the lead vocals on a great range of songs as well as providing backup vocals. Wayne aka “Jangles” is on drums and vocals. Wayne is energetic, with decades of experience as a professional drummer. His solid rhythms create the perfect drive for every song. His wit and snappy comebacks provide a light-hearted, jovial atmosphere—loads of fun with his wicked sense of humour. See the Limeburners, Sunday 21 at the Tin Can Bay Country Club. Easter will be upon us very soon, Easter eggs, fluffy bunnies, cute bilby’s, holidays and Tin Can Bay Coast Guards Easter Collection. This is Coast Guards biggest one-off collection and we ask locals and visitors to give generously to our members at roadside collection points. These points are located at the Rainbow Beach turn off from Tin Can Bay Road and in Tin Can Bay coming into town just past the school. Collection times are 6am – 6pm Wednesday April 17 to Friday April 19 and 6am – 2pm Saturday April 20. Members give their time voluntarily so that Coast Guard can continue to carry out much needed help to all on the water, as well as courses available to the public including radio, first aid, and bar crossing. Funds raised over our Easter collection are a large part of keeping Tin Can Bay Coast Guard operational and our boats afloat, so we can keep assisting the local and visiting boating community. You know that thing you’ve been hunting everywhere for, it could be there! Where? Along with all the other bargains at the Tin Can Bay Lions Club garage sale at Cathy House on Easter Saturday, April 20. Doors open from 7am till 1pm at 44 Toolara Road. Call in and have a cuppa and a browse. Oh, and the sausages will be sizzling. Any gratefully accepted donations can be dropped at Cathy House (5486 4391) from April 13. Visit Rainbow Beach magazine for New Zealand Heatley you guys have really turned out a magnificent booklet; I can’t believe it’s already printed. From a tourism perspective it will be very good for this place and definitely worthy of awards. Thank you and Michelle for your hard work, creative juices and pushing us along to be part of this. Hope there are lots of runons.